I'm sure most of you have noticed how much of a nail polish addict I am! You'll rarely catch me without polish on, and I go through a semi-intense inner battle every time I'm at Target or Ulta to avoid buying 17492 more colors. I used to be somewhat reckless when buying nail colors (it was a great little pick-me-up in college when I had pretty much no money to spend on myself), but now I've started planning what colors to buy so I'm not wasting my money (because these little things add up). Mint is such a fun spring color, and Revlon's 'Minted' is one of my very favorite polishes (I couldn't find a link for you all - so sorry). Essie 'Mint Candy Apple' is also a cute mint polish. I know white isn't technically a pastel...or a even color...but I bought Essie's 'Blanc' last week and I'm obsessed! With two coats I got an awesome opaque white, and it's going to look even better in the summer with a tan. Pale pinks are honestly a year-round look for me, but I do wear them more in the springtime. Essie 'French Affair' is a brighter, more 'chalky' pink that makes a girly statement. I wore it for our engagement photos, so I have a feeling I'll always love it :) OPI's 'Mimosas for Mr. and Mrs.' is another one of my favorite polishes, and it's the perfect delicate pink. My best friend used it as the nail color for her wedding last fall (seriously...how cute is the name? ), and I'm thinking about following suite. Essie's 'Fiji' and 'Ballet Slippers' are some other gorgeous pale pinks. Lavender is probably my favorite color (besides black if that even counts), and I love it so much that it's actually my wedding color. I own two different lavender polishes and love both equally. Revlon 'Lily' (pictured) is a brighter lavender, and Essie 'Nice is Nice' is a more pale and sheer lavender. What colors (and brands) are you loving right now for spring?? PS ~ I post a lot of photos of my nail colors & manis on my Instagram account - @jacylenore - if you'd like to check them out! I am obsessed with anything pastel and these shades are so delightful, pale pink is always a good idea for big life events. Wishing you a splendid weekend! 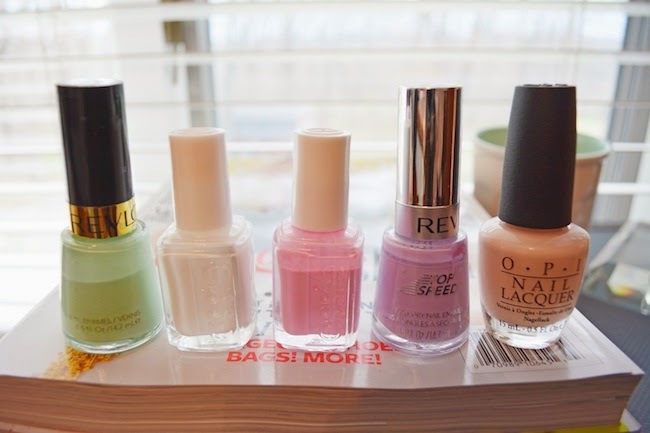 Love these colors, so perfect for spring! 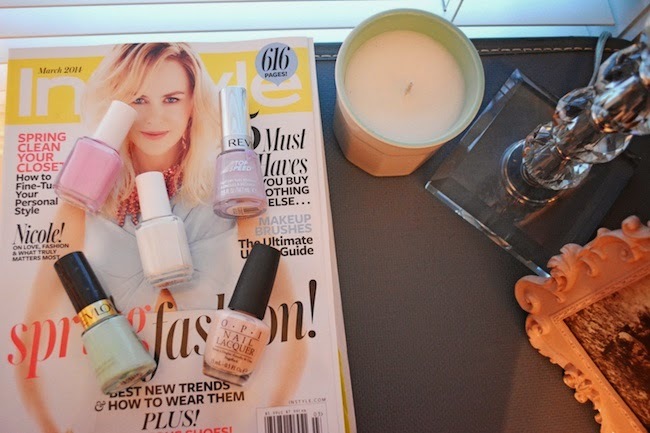 I am loving pastel polish for spring and summer! Such a great choices!